Hurricane Irma: What's in a wind record? Hurricane Irma, which has set an Atlantic Ocean record for wind speed, is expected to wreak devastation in the Caribbean and the U.S. In modern times, Atlantic hurricane winds have contributed to trillions in economic losses, but are responsible for a relatively small number of storm-related deaths. Hurricane Irma, battering the Caribbean and threatening to make landfall in Florida in the coming days, is by one measure already a record-setting storm. With peak one-minute sustained winds of 295 km/h, Irma as measured by wind speed is the most powerful hurricane to form in the Atlantic Ocean, according to the National Weather Service. 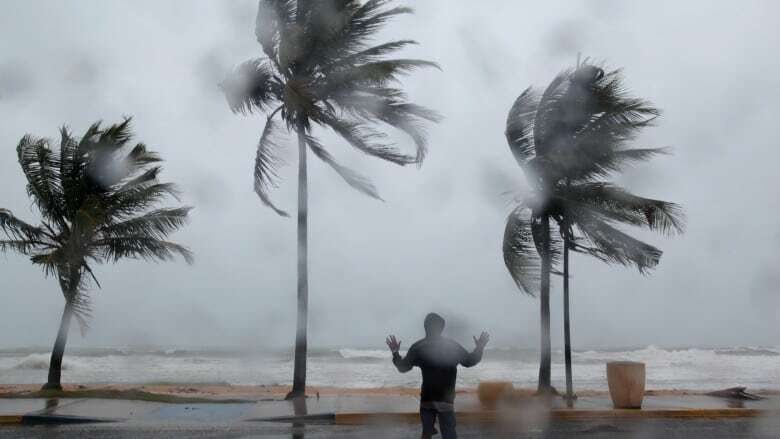 Four other storms have had winds as strong in the overall Atlantic region, but they were in the Caribbean Sea or the Gulf of Mexico, which usually have warmer waters. Hurricane Allen hit 305 km/h in 1980, while Wilma (2005), Gilbert (1988) and the Florida Keys hurricane of 1935 all had winds of about 297 km/h. For the record, Patricia on Oct. 23, 2015, reached a peak one-minute speed of 345 km/h in the eastern Pacific, where water temperatures are usually warmer than the Atlantic. 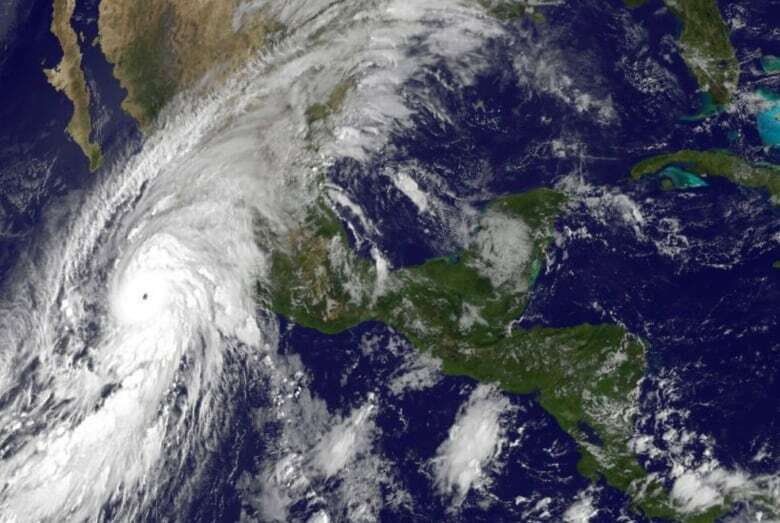 Patricia had weakened by the time it made landfall in Jalisco, Mexico, and mostly missed heavily populated areas so the death toll was in the single digits. Peak wind speed is an important measurement of a hurricane's strength. A Nature Geoscience study of 10 experts on hurricanes and climate change in 2010 estimated that each per cent increase in wind speed could correspond to a five per cent or more increase in economic damage. "A hurricane that comes along today impacts a very different world than it did even 10 to 15 years ago," Dr. James Done of the National Center for Atmospheric Research in Boulder, Colo., told CBC on Wednesday. Generally speaking, in the Americas and Caribbean that means billions in property damage and industry losses, but loss of life can and has been mitigated in recent times by improved warning systems and methods of communicating to people in a storm's path, including through social media and the internet. According to a 2011 study by the National Weather Service, just seven of the 50 deadliest hurricanes dating back to 1851 in the U.S. had occurred in the preceding 25 years, while over two-thirds of the costliest hurricanes occurred during that same period. That reflects the fact that population trends have seen tens of millions of people move to coastal areas in the U.S. There was a 39 per cent increase in the population of coastal counties between 1970 and 2010, according to one study of census data by the National Oceanic and Atmospheric Administration (NOAA). 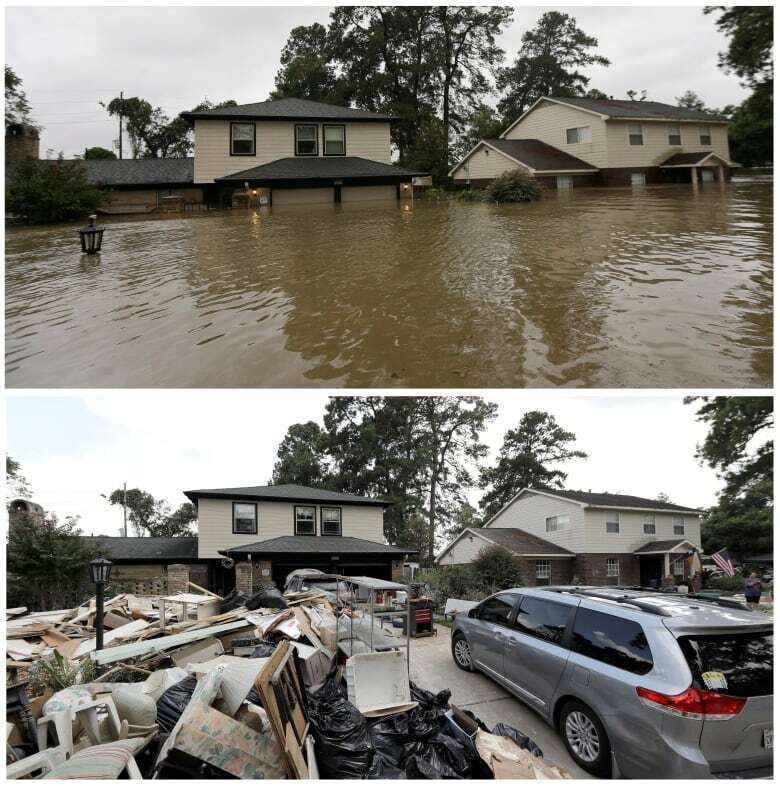 Government flood insurance programs, for better or worse, haven't disincentivized folks from rebuilding houses in flood plain areas. On the business and infrastructure front, damage to roads, the power grid and to industry, especially energy and agriculture, can inflate the economic impact. Katrina tops the list of the costliest hurricanes in the U.S. at an estimated $180 billion from the Federal Emergency Management Agency (FEMA), but some have estimated Harvey will be at or near the top of that list once all the damage in Texas is added up. Even storms that reach the same status on the Saffir–Simpson hurricane wind category scale can have much different results. 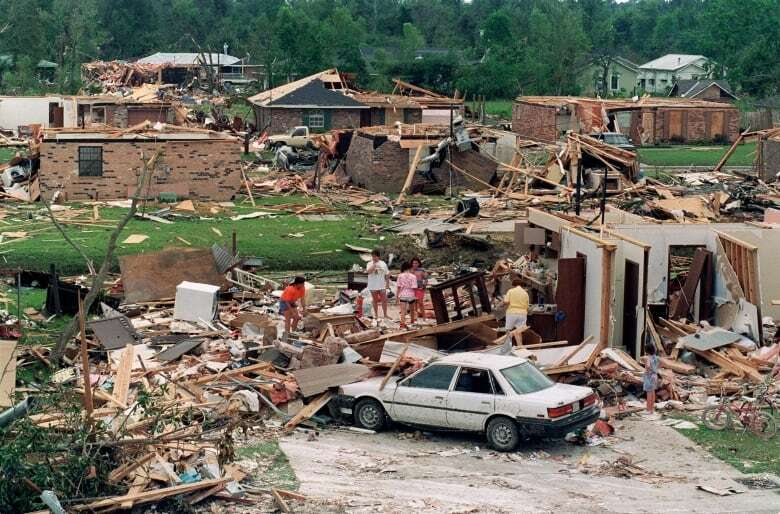 Hurricane Katrina and Hurricane Rita each achieved Category 5 status — wind speeds of at least 249 km/h — three weeks apart in 2005 and were comparable when measuring top wind speed and barometric air pressure. Make no mistake, Rita's impact was devastating — an estimated $12 billion economically and more than 100 killed. But levee failures and an inadequate response and contingency plans from all levels of government saw the preceding Katrina storm kill more than 1,200 people, in addition to the economic impact. The wind is but one measurement of a hurricane's potential devastation and it may ultimately say less about a storm's final impact. Hurricane Sandy, for example, never brought winds greater than 209 km/h as a Category 3 storm that hit the East Coast, but it managed to cause more than an estimated $70 billion in damage in the U.S. alone, second only to Katrina, at least until Harvey's final bill is known. Dr. James Done of the National Center for Atmospheric Research is part of a team that is trying to get a handle on measuring how storms of similar wind speeds could bring very different results. Their Cyclone Damage Potential index (CDP) looks not just at peak wind speed, but hurricane size and forward wind speed. The index considers offshore and onshore winds, wave and coastal surge damage potential, among other factors. According to their estimates, Irma has a 5.3 rating on a scale of 10, compared to 5.2 for Harvey and 4.9 for Katrina when it made landfall. "A large, slowly moving hurricane that repeatedly batters an area with high winds can cause greater total damage than a smaller, faster hurricane that blows quickly through a region," Done wrote last month as Harvey landed in Texas. Regardless of measurement, we can reasonably expect Irma to shear roofs, level homes and cause power outages. Storm warnings have been issued for the northern Leeward Islands, Puerto Rico, the Virgin Islands, the northern coast of the Dominican Republic, the southeastern Bahamas and the Turks and Caicos Islands. Irma could also be the first to make landfall in Florida since Wilma hit as a Category 3 storm in October 2005. There is much variation ahead, but as of Wednesday, estimated winds for when Irma is expected to hit Florida on the weekend could be around 205 km/h. Hurricane Camille in 1969 had a record wind reading of 305 km/h when it touched down in Mississippi, according to NOAA. More recently, the Category 5 storm Andrew in 1992 packed winds estimated at over 268 km/h when it crossed south Florida. Athena Masson, a PhD candidate at the University of Toronto who studies Atlantic hurricanes, told CBC News Network on Wednesday that Andrew may end up being the best comparable to Irma. Until Katrina, Andrew was estimated as the costliest Atlantic hurricane ever in the U.S.
"But we also have to keep in mind that Irma is stronger, its winds are stronger, it's larger and it's even a fast-moving storm ... if that comes anywhere near the coast [of Florida] that could be disastrous," Masson said. Masson, who is currently in Florida, said she will also be watching for storm surge levels from Irma in comparison with Matthew. Matthew was the first Category 5 Atlantic hurricane in nearly a decade when its effects were felt in September and October 2016. On Oct. 7, a peak surge of three metres above normal was measured in Fernandina Beach, Fla., and Fort Pulaski, Ga., broke a 40-year tide level record at 3.83 metres. The old adage regarding oncoming hurricanes is "run from the water, hide from the wind." Falling trees and debris can be fatal, but when it comes to wind and storm surge, there are huge disparities in terms of loss of life. A National Weather Service measurement of hurricane fatalities between 1963 and 2012 attributed only eight per cent of all deaths to wind-related causes, with storm surge (49 per cent) and rain (27 per cent) the leading causes. Mitch, the deadliest modern Atlantic hurricane with more than 11,000 deaths in 1998, is instructive. Flooding and mudslides accounted for the large majority of fatalities in Nicaragua and Honduras. The same usually holds true in Haiti, oft hit by storms. Matthew caused at least 600 deaths last year. It was still much less than the 3,000 during 2004's Hurricane Jeanne, a Category 3 storm that didn't even make landfall there, but swollen rivers were deadly in each case. The aforementioned Natural Geoscience study of experts in 2010 predicted that in the 21st century, overall strength of storms as measured in wind speed would rise by two to 11 per cent, in part because of climate change, but there would be fewer storms. In other words, we might not expect a consistent pattern of hurricanes, but the ones that arrive will pack a wallop to be felt for years in affected areas. As well, Irma may not hold that Atlantic Ocean wind record for too long. What can cities learn from Harvey flooding?